Hard copies of the Summary Group Financial Statements are avaliable by calling 0800 KAI TAHU. Ka rere, ka rere ko te ata i whāia, haere e ngā mate! Werohia ki a Papatūānuku, werohia ki tai. Kia Aoraki matatū ai tō tātou iwi e! As we reflect and celebrate the 20-year milestone of the signing of the Ngāi Tahu Deed of Settlement and its significance for the future pathway of our iwi, it is important that we acknowledge all those who came before us. It is the collective efforts of those who laid the foundations for the exciting future that awaits our iwi. It gives me great pleasure to present our annual report for the year ending 30 June 2017. 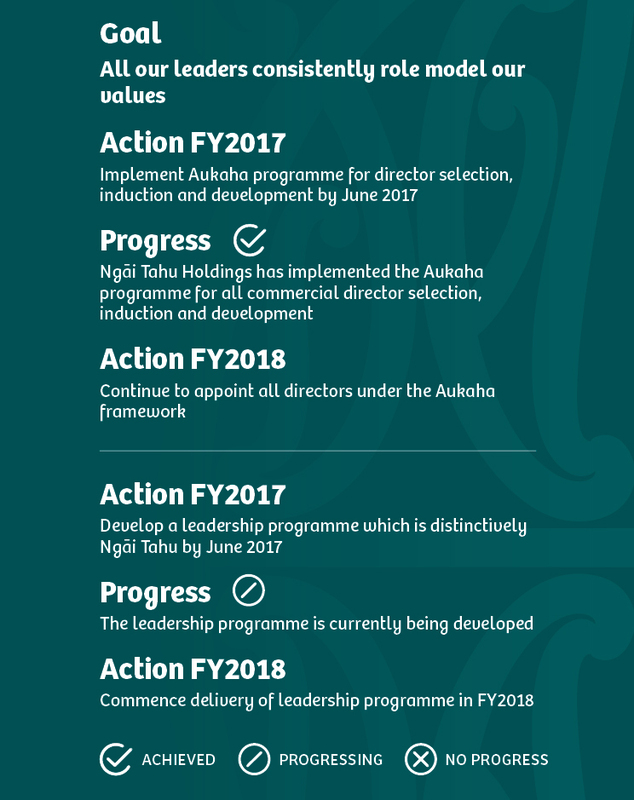 In the interests of streamlining our reporting, we have combined Manawa Ngāi Tahu sustainability measures with the annual report in a new format. This is designed to better report to whānau on what is being done, and what has been achieved, to support the cultural, social, environmental and economic sustainability for this and future generations. In March we held a formal farewell for Tā Mark Solomon in recognition of his 18 years as Kaiwhakahaere of Te Rūnanga o Ngāi Tahu. Tā Mark made an enormous contribution to the betterment of the iwi. I want to again acknowledge Tā Mark for his efforts, and wish him every success in whatever endeavours he puts his talents towards in the future. I would also like to welcome Darran Kerei-Keepa to Te Rūnanga as Kaikōura representative replacing Tā Mark. This year also saw a number of new faces added to Te Rūnanga with the departure of long time representatives, Maria Pera (Awarua), James Daniels (Wairewa), Tim Rochford (Makaawhio) and Ngaire Tainui (Ōnuku). My thanks for the enormous contribution you each made to Te Rūnanga over many years representing your respective rūnanga. We have welcomed Gail Thompson (Awarua), Henrietta Latimer (Wairewa), Susan Wallace (Makaawhio), and Rik Tainui (Ōnuku) who have hit the ground running, and are already adding value to the deliberations of Te Rūnanga. In November Te Rūnanga will elect a Kaiwhakahaere and Deputy Kaiwhakahaere for the next three years. Both Tā Mark’s departure, and the celebration of the 20-year milestone since settlement represent a timely opportunity to review, refine and enhance the form and function of Te Rūnanga to ensure our structures and processes meet the needs of Ngāi Tahu in the years ahead. 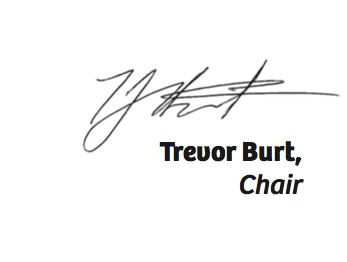 A six member Form and Function Review Committee was appointed from across Te Rūnanga in April. Utilising the combined wisdom and experience accumulated over the past 20 years, their review incorporates previous governance reviews and recommendations, and also assesses best governance practice across comparable organisations. The results are expected in the new year, and will play a major part in enhancing our tribal momentum in the years ahead. Another key area of focus for Te Rūnanga has been on improving communication both internally and externally with our Ngāi Tahu whānau. This will continue as a priority in the coming year. One of the key highlights for the year were the 11 road shows held across Australia and Aotearoa. The road shows were a huge success with more than 2000 whānau members taking part. It was inspiring to see the enthusiasm of whānau in coming together to celebrate their Ngāi Tahutanga. 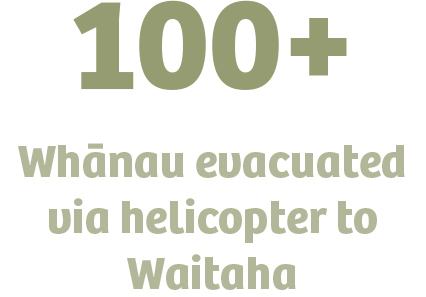 More than 630 enrolled with the Whakapapa unit and more than 615 joined Whai Rawa. I want to thank all those whānau who took part, and our team who organised the events. Another highlight was our investment in the pilot home ownership initiative which we envisage growing in the future. The pilot supported five whānau to purchase their first homes in an equity share model. One of the whānau chosen in the pilot is showcased in this report and her praise highlights why we need to strengthen this kaupapa. Once again it has been an incredibly busy and productive year across the Te Rūnanga Group. 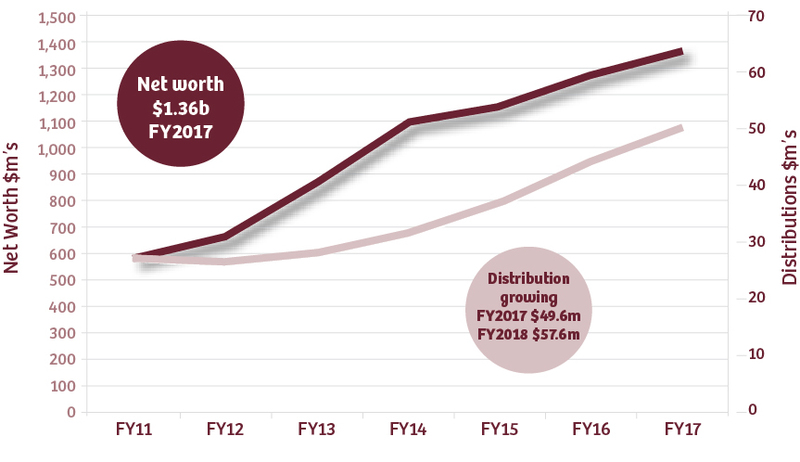 I am delighted to report that our net worth has continued to grow, increasing by $89m to $1.36b. 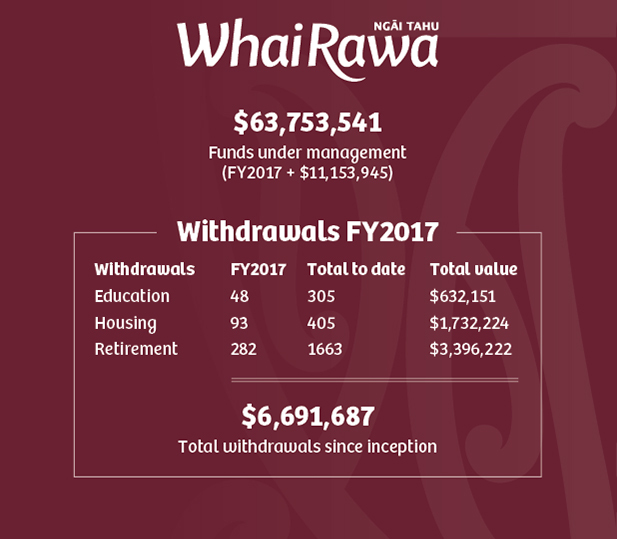 The net profit for the year is $126.78m and this growth allowed for a direct distribution to Te Rūnanga o Ngāi Tahu of $49.6m. This provided a direct distribution of $32.6m (excluding operational and administration costs) for tribal initiatives. This allowed funding of $7.1m for kaumātua, education and wellbeing grants and $10.6m direct distribution and development for Papatipu Rūnanga. Whai Rawa also continues to grow both in membership and in managed funds. This year the fund grew to $63.75m, an increase of more than $11m on the previous year. Ngāi Tahu has done incredibly well in managing and growing its collective wealth. However, with more than 58,000 members spread throughout Aotearoa and the world, we must manage the significant needs of our people, against what in reality is a limited pool of funds based on our size. 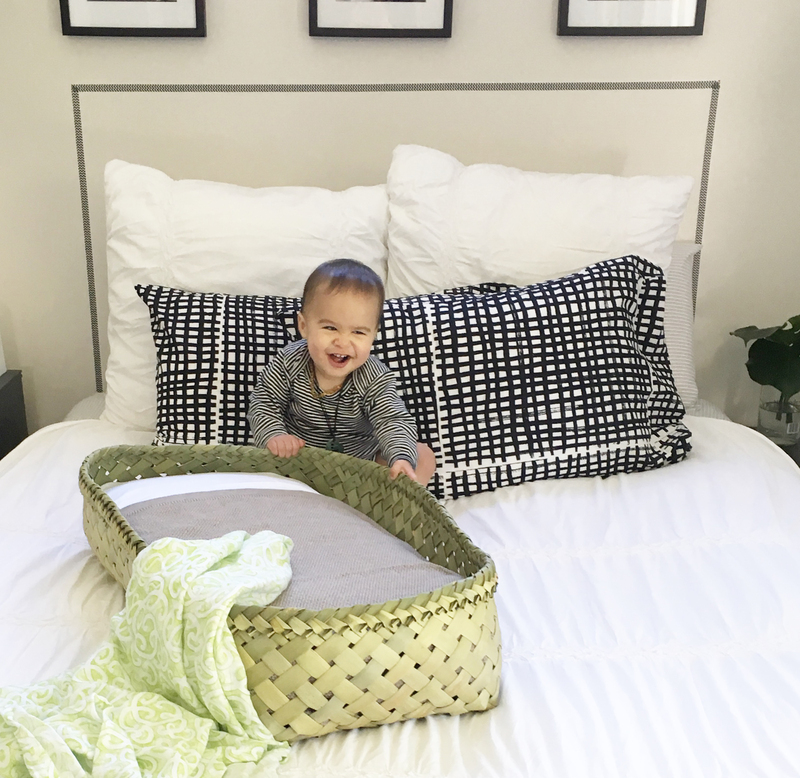 It is a constant process of management, tempered by the importance of continuing to grow our base to ensure we have a consistent means to also support our next generations. Health and Safety and investment in our people are two key areas of focus for Te Rūnanga. The 2016 Whatumanawa staff survey has led to new initiatives that continue to focus on strengthening the cultural confidence and capability of our team, so that they feel comfortable and confident, in performing their work in our culturally-rich values-driven environment. We have made good progress, and we have a clear set of priorities for the year ahead. I want to thank our kaimahi led by our Chief Executive Officer Arihia Bennett for their mahi and support throughout the year. Our kaimahi are often the face of our people to the many communities, organisations and individuals that we engage with. I thank you all for your efforts and contributions. Finally I would like to acknowledge our people for the support and inspiration they provide for all that we do. Mō tātou, ā, mō kā uri ā muri ake nei. Image above: Restoring the native vegetation at the Kātiki Historic Reserve at Moeraki are Patrick Tipa (foreground) with Kahu Te Maiharoa, David Higgins, Ranui Te Maiharoa, Nola Tipa and Joe Taurima. The on going protection and restoration of this culturally significant site is a collaboration between Moeraki Rūnanga, the Penguin Rescue Trust, Te Rūnanga and the Department of Conservation. Te Rūnanga o Ngāi Tahu Representatives: Back row (l-r): Ann Wakefield (Ōraka Aparima), Rik Tainui (Ōnuku), Elizabeth Cunningham (Koukourārata), Tahu Potiki (Ōtākou), Lisa Tumahai (Ngāti Waewae), Gail Thompson (Awarua), David Perenara-O’Connell (Taumutu), Terry Nicholas (Hokonui), Matapura Ellison (Puketeraki). Front row (l-r): Michael Skerrett (Waihōpai), Jo McLean (Waihao), Henrietta Latimer (Wairewa), Darran Kerei-Keepa (Kaikōura), Arihia Bennett (Chief Executive Officer), Susan Wallace (Makaawhio), Gabrielle Huria (Tūāhuriri), Quentin Hix (Arowhenua), Karen Coutts (Moeraki), Gail Gordon (Rāpaki). Six Ngāi Tahu values form the framework for Manawa Ngāi Tahu. In 2016 we engaged with iwi members through a series of regional hui, and with kaimahi and our partners to hear their thoughts on our sustainability journey and the issues we face. The 16 top issues are reflected in this framework. Kia ora koutou katoa, welcome to the 2017 annual report. The Settlement brought with it a number of mechanisms that have provided a springboard for much of our economic accomplishment, such as the Right of First Refusal (RFR) on a number of Crown properties, the fisheries quota management and relativity. We have maximised the potential growth opportunities arising from these mechanisms and we now need to be focused on developing the springboard for the next generation. Whatumanawa, our organisational wellness initiative is about organisational culture, being the best we can be, upholding our values and leading by example – our rangatiratanga. We are committed to creating opportunities to enable our leaders to be world-class. 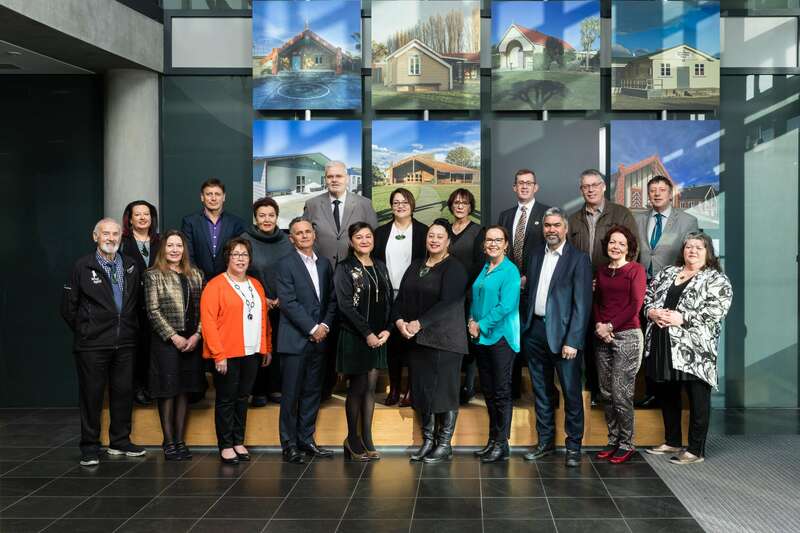 We have started this process with our commercial boards through the board competence framework and Manawa Nui, a programme designed to encourage Ngāi Tahu whānau onto Ngāi Tahu Holdings (NTH) boards. In 2018 we will also be running an executive leadership programme for our senior leaders. 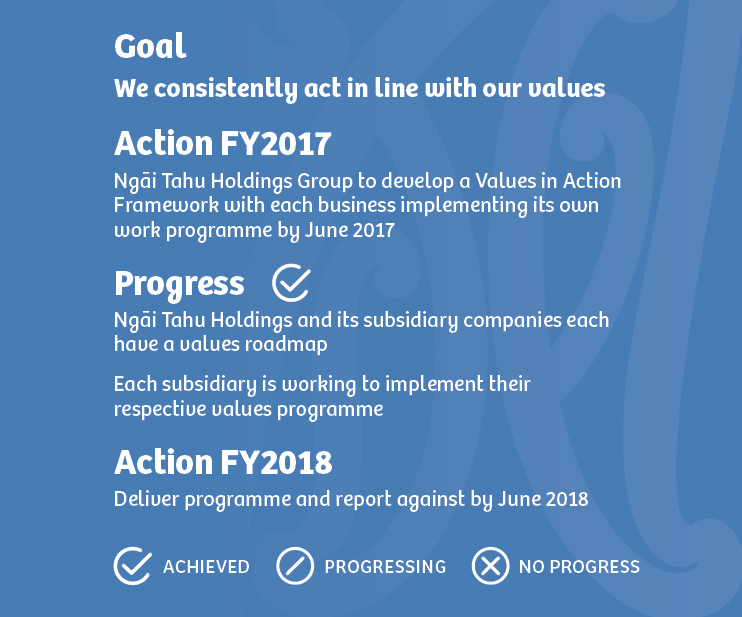 In alignment with the expectations of Manawa Ngāi Tahu, Ngāi Tahu Holdings Group has developed a Values in Action Framework. All of our subsidiaries have developed values roadmaps and are working to implement their individual values programmes. 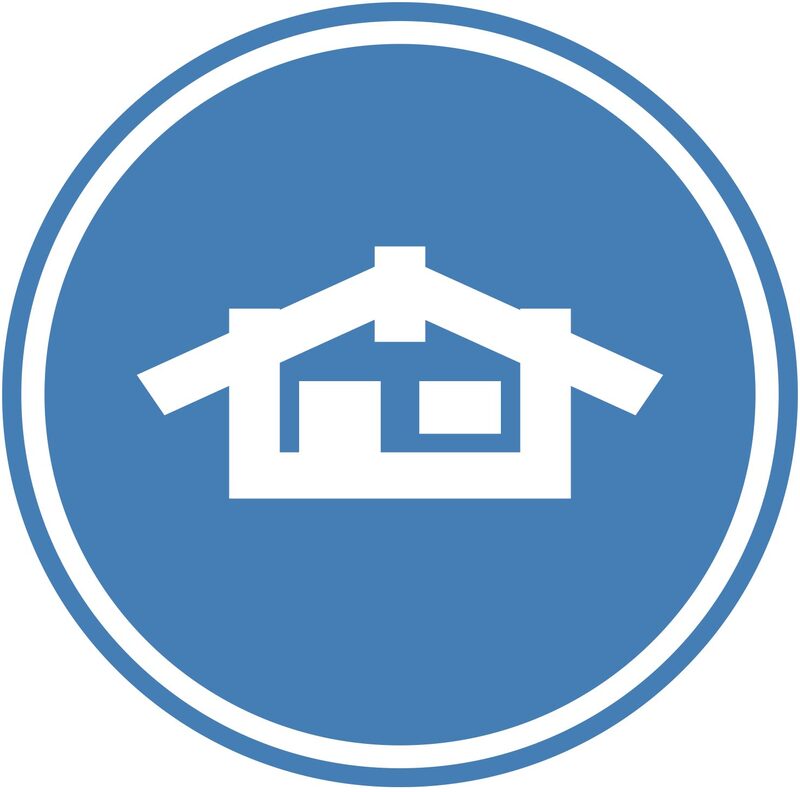 Health and Safety and our commitment to our goal: Kia hoki ora atu tātou katoa ki te kāika – everyone home safe every day, is an ongoing priority and we are pleased to report that our hard work in this area over the past 12 months has regained our ACC health & safety tertiary accreditation status for the Office, Ngāi Tahu Property, Ngāi Tahu Seafood and Ngāi Tahu Farming. We continue to explore ways in which we can tangibly demonstrate kotahitanga throughout the NTH Group. Across the subsidiaries there is positive progress being made including the work being done between Ngāi Tahu Tourism and Ngāi Tahu Farming looking at future tourism opportunities on our high country stations. In the spirit of whanaungatanga we are developing a proposal to introduce a living wage across our businesses as part of our ongoing commitment to the wellbeing of our people. As kaitiaki, we take our responsibility seriously. We are committed to measuring and reducing our carbon footprint. 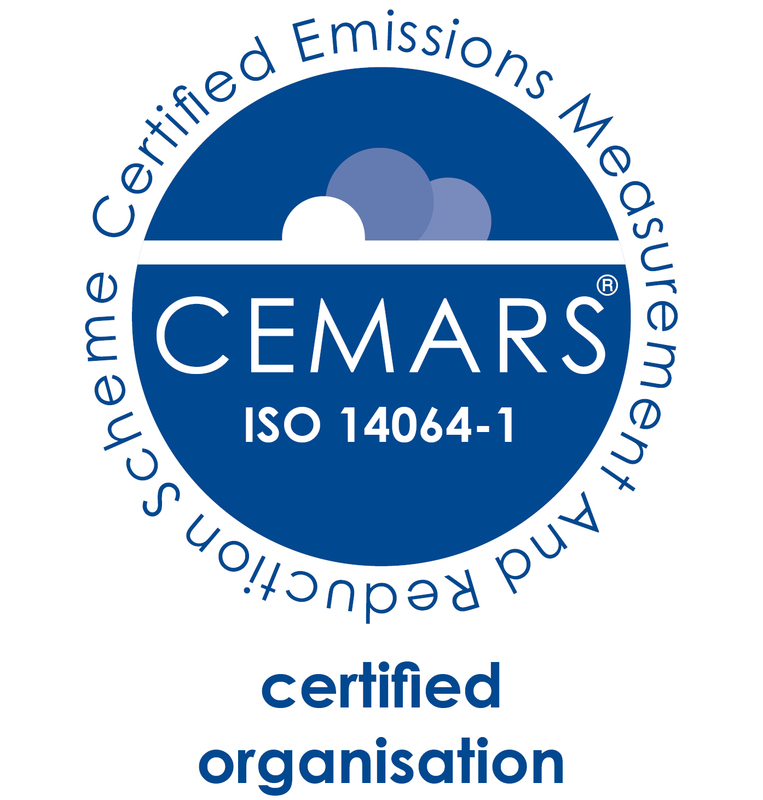 This year we have produced our first carbon emissions report under the internationally recognised Enviromark Solutions CEMARS programme. After a long period of strong growth resulting largely from the Ngāi Tahu Property developments along with an upturn in tourism, the strength of the kōura market in China and our farm conversions, things are now easing back and as the economy flattens, we face a ‘new normal’ after this prolonged time of exceptional returns. 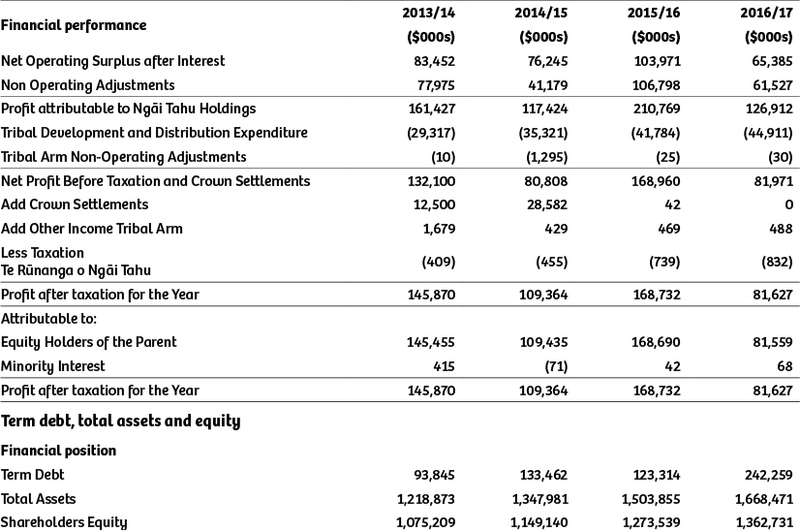 Further, this year Ngāi Tahu Capital posted a net operating deficit of $9m. This disappointing result reflected a very poor year for Watson & Son which suffered a significant loss following one of the worst mānuka honey seasons on record. We can look to the future with confidence, building on our growth over the past two decades; the strength of our brand, our reputation and our capability places us in a strong position. Our focus is on maximising the value of what we currently have and our commitment to being a strong economic force in Te Waipounamu. We will partner more, complete our farm developments and grow our footprint. Te Waipounamu is our tūrangawaewae and will always be our base, however, as we look ahead to the next 20 years we also need to be looking further afield and developing new opportunities. Identifying pathways and supports to strengthen and protect our authentic Ngāi Tahu cultural knowledge and practices. Building an understanding of our whānau and their personal situations, their health, housing, economic circumstances and social wellbeing and from this creating opportunities for whānau to achieve their aspirations. Supporting our whānau to access education and development opportunities from our pēpi through to our pōua and taua. Protecting and enhancing Ngāi Tahu rights and interests as kaitiaki of the natural environment and supporting the capability and capacity of Papatipu Rūnanga. Supporting Papatipu Rūnanga as they work towards their own self-determined pathway and, where possible, ensuring central services are devolved to match these aspirations. These key areas are supported by a number of core teams which sit within the Office, who are responsible for supporting the entire Group. 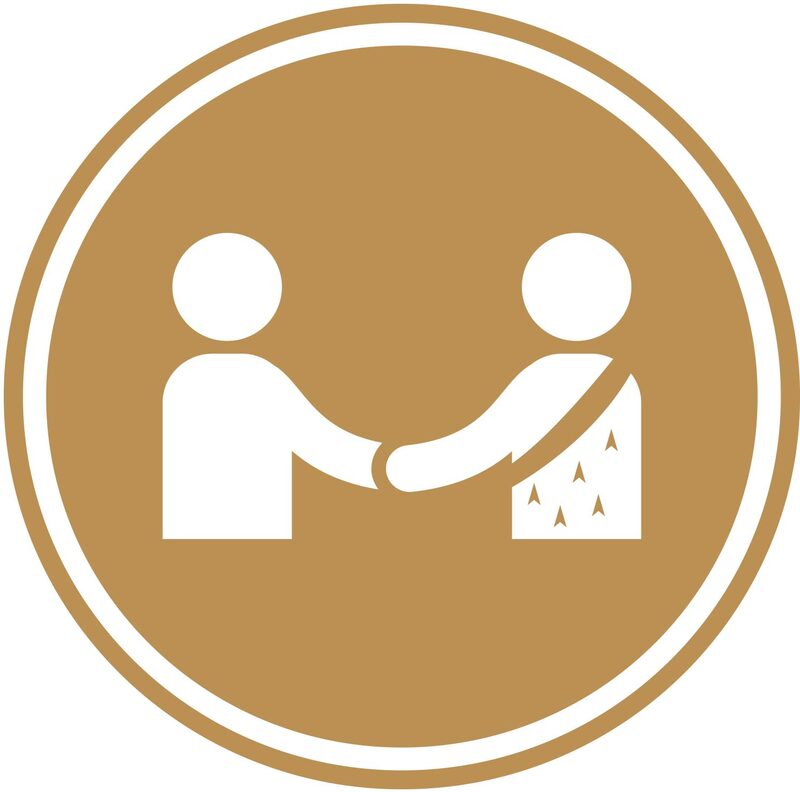 Ngā Whakapāpātanga – Tribal engagement and communications – keeping our whānau connected. Te Whakaariki – Strategy and influence – protecting our rights and interests. 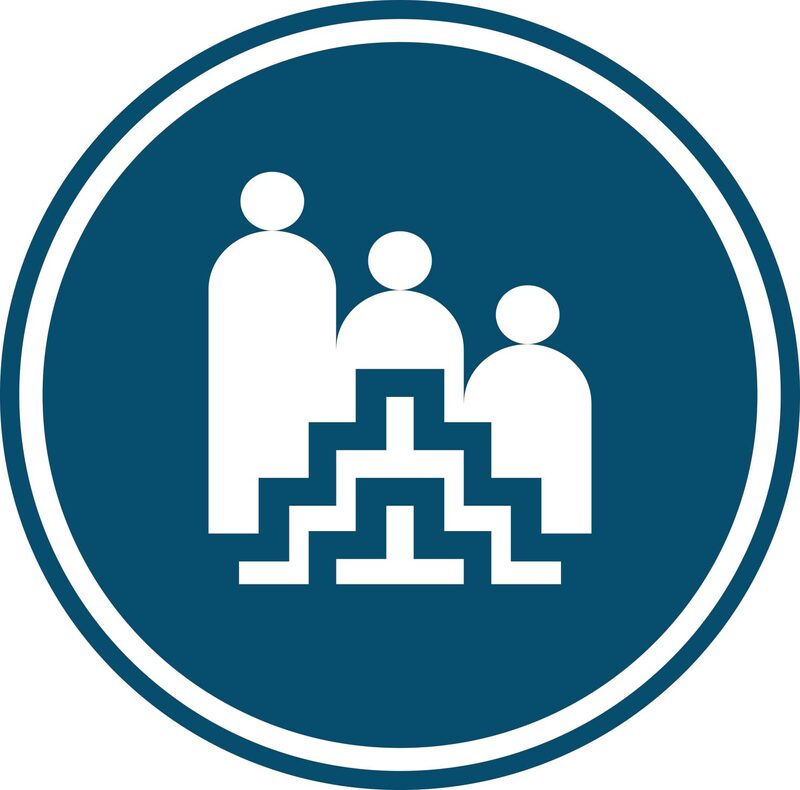 Te Kaitiakitanga me te Tāhuhu – Governance and operations – developing strategies, systems and processes to support the Group. Ngāi Tahu Holdings is charged with growing our Settlement assets to deliver intergenerational returns to the iwi. To do this we manage a diverse portfolio across five subsidiary companies. has an investment portfolio which includes our long standing investment in Ryman Healthcare, along with direct investments in Go Bus, Watson & Son (mānuka honey), Hilton Haulage, Waikato Milking Systems and Whale Watch Kaikōura. manages three high country stations near Lake Whakatipu, large scale farms on the Canterbury Plains and forests on the West Coast. We produce timber, milk, meat and other primary products which are sold to local processors for export around the world. develops residential subdivisions, commercial, retail and industrial property, with current development in both Christchurch and Auckland. We also manage an investment portfolio made up of Crown, retail and commercial tenants in Christchurch, Queenstown and Dunedin. provides 20 experiences across our nine businesses throughout Aotearoa. These include Shotover Jet, Guided Walks New Zealand, Dart River, Franz Josef Glacier Guides, Glacier Hot Pools, Huka Falls Jet, Agrodome, Rainbow Springs and Glacier Southern Lakes Helicopters. supplies high quality seafood to international and domestic markets under our TAHU brand. Key species include kōura(crayfish), pāua (abalone), rāwaru (blue cod), tio (Bluff oysters) and kūtai (Greenshell™ mussels). We also hold and manage fishing quota in other species. Te Pōkai Ao rangatahi (Left to right) Kiliona Tamati-Tupa’i, Abraham Hix, Luca Mackenzie, Samual Wixon, Dara Mohi (Āmua Ao), Kathrine Wiki Arapeta, Sarah Langsbury, Ngahiraka Dallas, Tiaki Huria, Jessica Nandu-Templeton (kaiawhina), Bethany Kaye-Blake, Madison Henry (kaiawhina), Nathaniel Cashell and Gaynor Hakaria (kaiako). 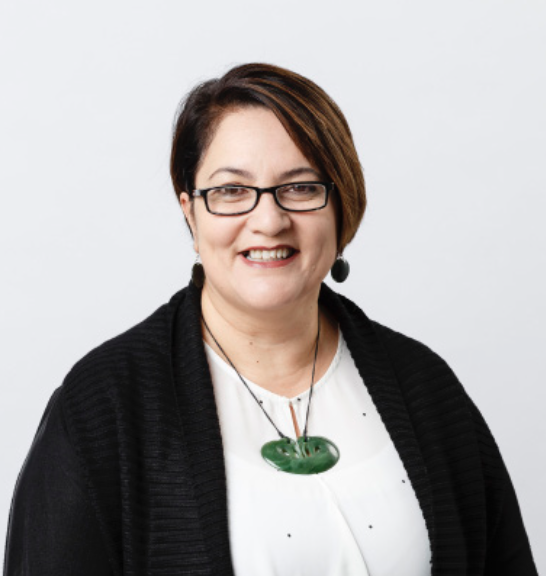 To deliver on iwi aspirations and the ongoing success of Te Rūnanga Group, we need to attract and retain the best people – people who operate in line with our values and believe in our kaupapa. 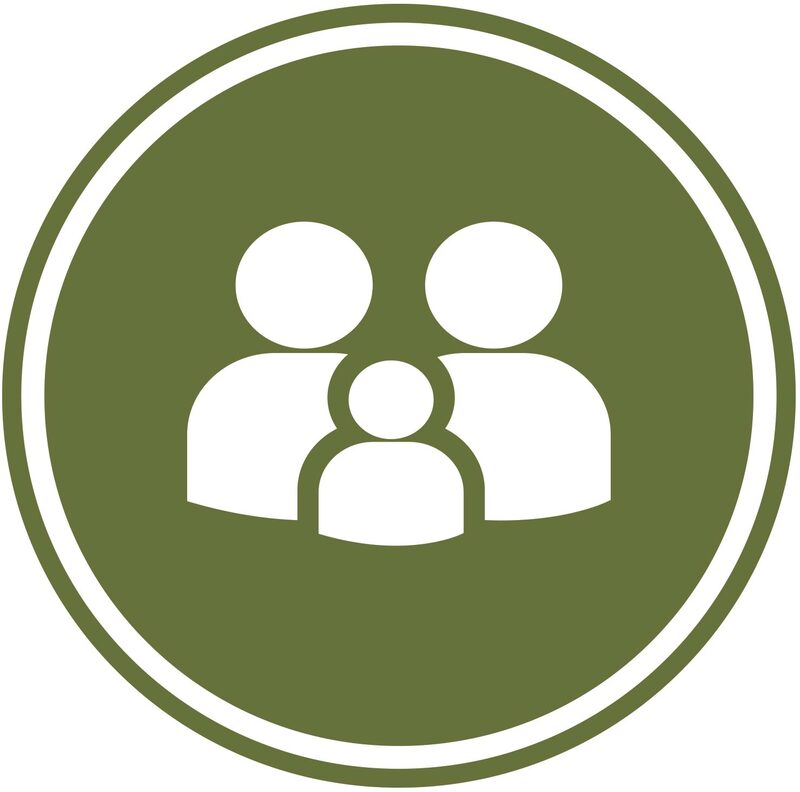 When we refer to our whānau we include all those that Te Rūnanga has a responsibility for, including iwi members and our kaimahi (staff) and directors. We are committed to the ongoing development of all our kaimahi and directors and to developing pathways and opportunities for iwi members. A key part of this is encouraging high numbers of Ngāi Tahu within our businesses at all levels. 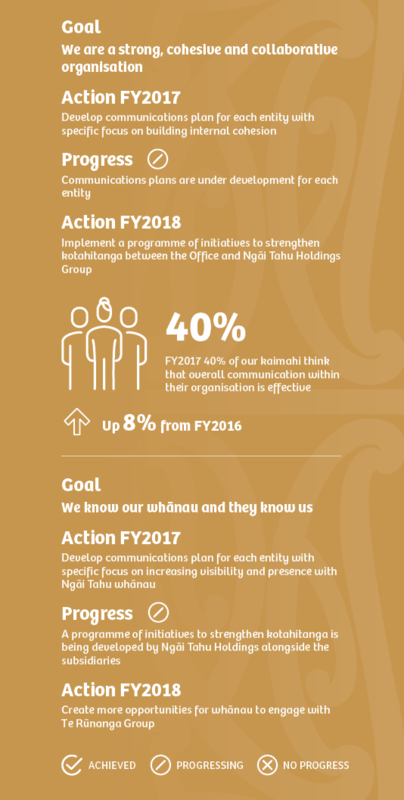 Success for us includes an increasing number of Ngāi Tahu in governance and leadership positions within the organisation. In 2016 we challenged ourselves to think about our tribal response to the future workspace and world by looking at the kaupapa of STEM (Science, Technology, Engineering and Maths). Our Tribal Economies and Mātauranga teams developed a kaupapa we named Te Pōkai Ao, that drew on the attributes and behaviours of our traditional navigators and explorers, to claim a Ngāi Tahu position in our world guided by our values and legacy of entrepreneurship, tenacity, ingenuity and resilience. We entered into a collaborative project with Te Tapuae o Rēhua, New Zealand Qualifications Authority (NZQA) and Callaghan Innovation to support 10 Ngāi Tahu taiohi to take part in the Silicon Valley Bootcamp, part of a Government-led initiative to promote Year 9 and 10 Māori students. This kaupapa celebrates the potential of our taiohi and exposes them to the future world as Ngāi Tahu. This year 22 young Ngāi Tahu travelled to Silicon Valley to look at how they might collectively contribute to a Ngāi Tahu Pōkai Ao world. We have established a Panel of Preferred Providers to obtain external contractor services for works on tribal properties and other Te Ao Tūroa programmes. This approach creates new opportunities for the Regional Environmental Entities (REEs) who were automatically granted membership as preferred providers. The REEs have a general mandate to represent the interests of their Papatipu Rūnanga who hold mana whenua rights and interests over the lands and waters within their respective takiwā. Te Rūnanga allocates funds to the REEs on an annual basis, to increase their capacity to carry out this mahi on behalf of Papatipu Rūnanga. Kāi Tahu Ki Otago is the first REE to enter a proposal and successfully won the tender to develop the Kātiki Point Management Plan. All Ngāi Tahu subsidiaries are proactively engaged in supporting scholarships and internal development opportunities for whānau. The following is one example of this in action. 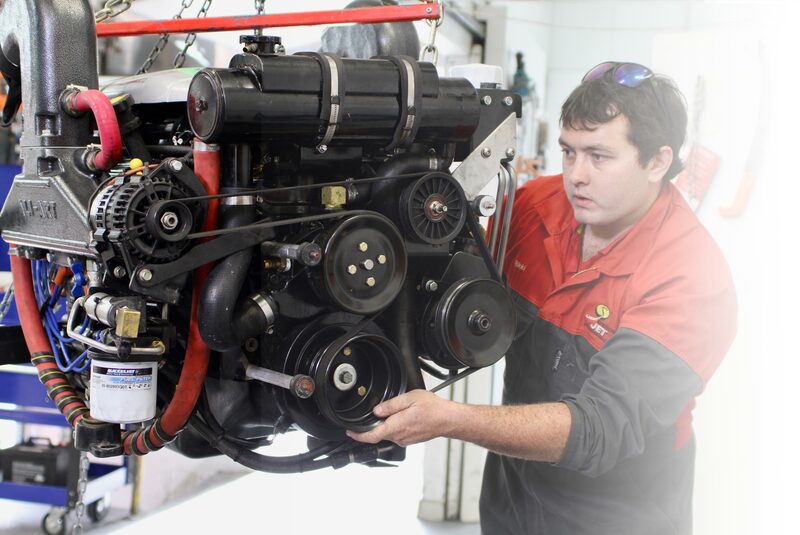 Creating opportunities for whānau led to the development of the Ngāi Tahu Tourism marine mechanic apprenticeship which offers an apprenticeship to successful applicants. Tourism is a dynamic and exciting growth industry with a high demand for experienced marine mechanics. The apprenticeship includes: paid work at Shotover Jet, on-the-job training, guidance, support and paid studies through the NZ Marine and Composites industry training. Ensuring a sustainable future and maximising value through operational excellence is a core focus for Ngāi Tahu Seafood (NTS). Key to this is a project with the Seafood Technologies team at Plant & Food Research in Nelson to breed blue cod (rāwaru) and other fish species in captivity with a view to building knowledge and understanding of the conditions they require to successfully reproduce. For the first time they have managed to grow around 2000 blue cod to fingerlings (5–7 cm in length). 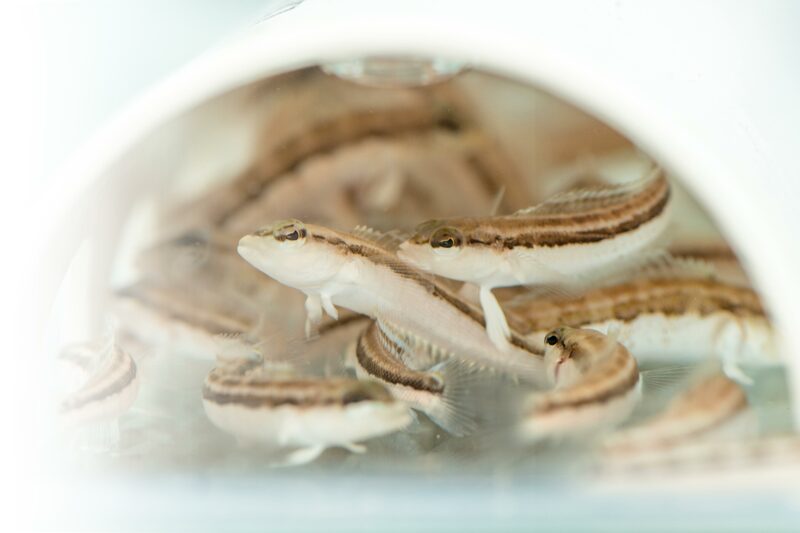 The team has been studying both the parents and the hatchlings to determine how they respond to stocking densities, population structure, light, water temperature and different food sources, to develop the best protocol for raising the fish at Plant & Food Research’s new fish hatchery in Nelson. © Plant & Food Research. By gaining a better understanding of blue cod breeding NTS hopes to be able to identify ways to replenish and strengthen fish stocks. This will have a positive impact on customary, recreational and commercial availability and help to sustain the health of our fisheries and create opportunities to grow the industry in New Zealand. 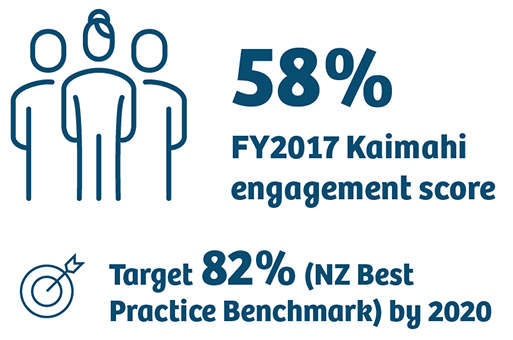 Whatumanawa is our organisational commitment to supporting the overall wellbeing of our kaimahi and is an indicator of how well we are progressing in fulfilling our vision to be an employer of choice. 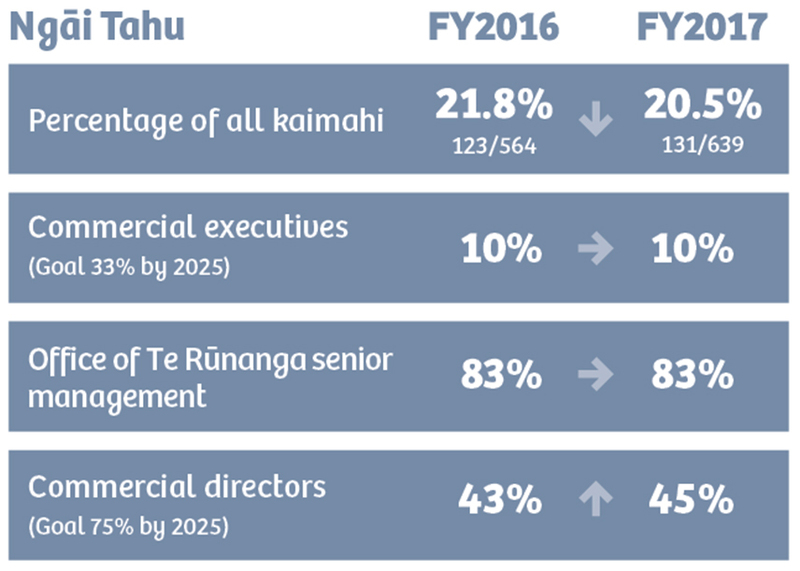 Over the past year we have been challenged by two significant restructures in different parts of the organisation which have impacted on kaimahi wellbeing, however we remain committed to creating an environment where our kaimahi are motivated and challenged, feel safe and valued and provided with the opportunities to grow and be the best they can be. Kaikōura whānau opened the doors of Takahanga Marae to feed and shelter the community following the earthquakes that shook the region. By breaking down the word manaaki we get clarity on its meaning. Mana can be described as the ability or power that an individual has. 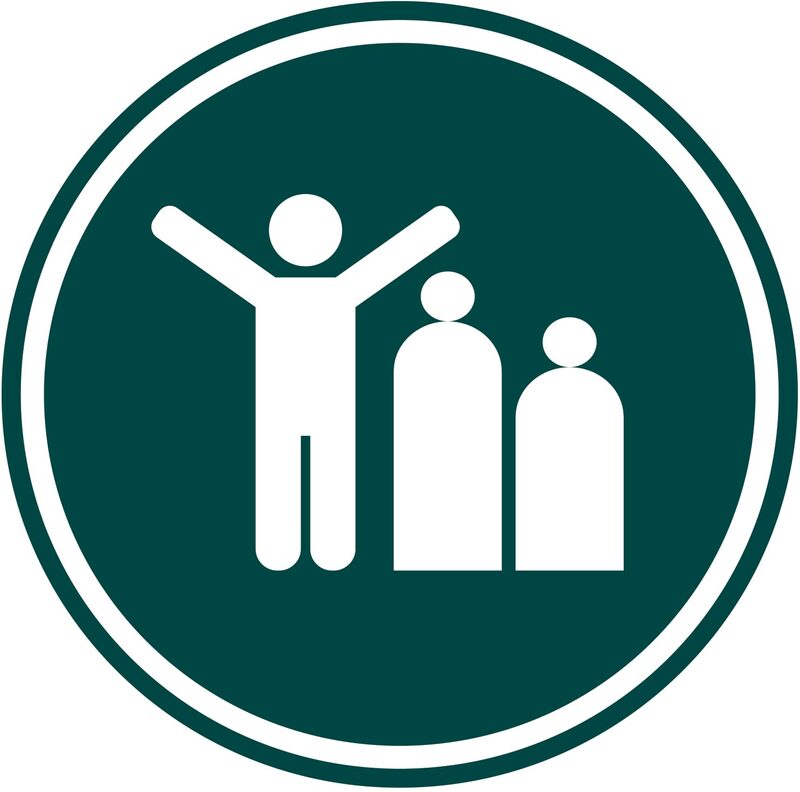 Aki means to uplift or encourage. How we treat others and respect and support them is inherent in this and extends to the wellbeing of our whānau, including our kaimahi and those who have an association with us. It is important to us that our manuhiri feel at home and welcomed. Twenty years ago we would have responded to the Canterbury and Kaikōura earthquakes and Port Hills fires, with the same level of concern for our whānau members as we have in recent times. Twenty years on we responded in a whole new way. Our values of manaakitanga and kaitiakitanga were enabled by our tribal resources and networks. Our response was rangatiratanga in action, as we are now in a position to help our people directly and swiftly. Following the Hurunui/Kaikōura earthquakes, our companies Ngāi Tahu Farming and Ngāi Tahu Seafood supplied essential food and necessities, our joint venture transport services (Hilton Haulage) got people and resources to where they needed to go, our Ngāi Tahu Tourism helicopters provided a vital lifeline to the marae and community and our kaimahi connected, cooked with and informed whānau about support services and made sure they were okay. We also nurtured key relationships with the community, New Zealand Police and others. 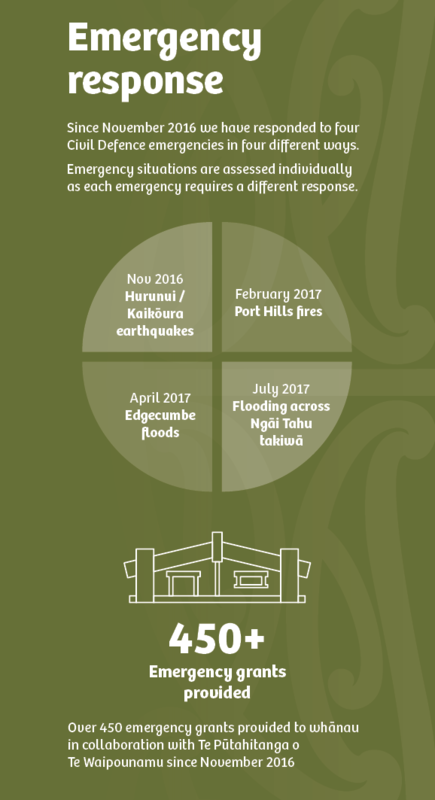 In November 2016, we appointed a Director of Earthquake Response and Recovery to look after the ongoing interests of whānau in the area. Our next step is to work with our Papatipu Rūnanga to ensure they are well prepared for potential events that may occur in the future. The Shared Equity Housing pilot project is all about making home ownership possible for more Ngāi Tahu whānau. 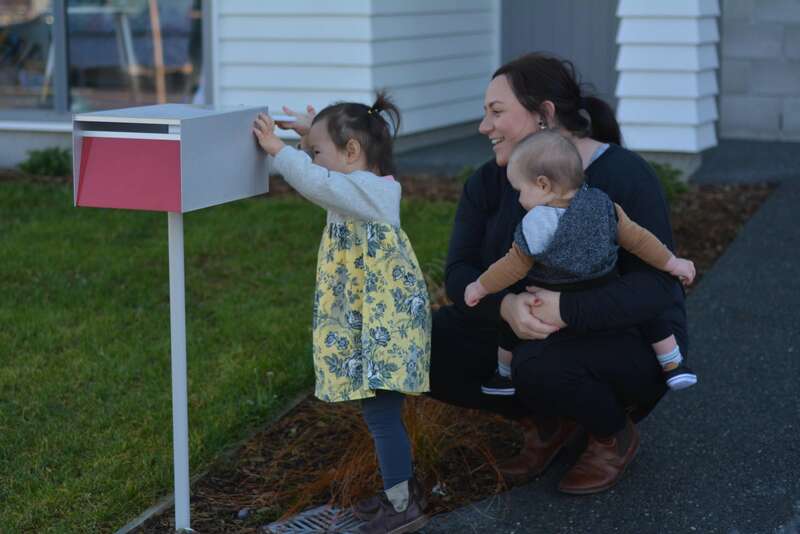 The pilot was launched in Ōtautahi in early 2016, calling for potential candidates who were looking at home ownership but couldn’t quite get there. Families contribute as much towards the property as their circumstances will allow, and Te Rūnanga o Ngāi Tahu owns the remainder passively. Smaller mortgages and lower repayments make this dream a reality for whānau. Allanah Burgess and her whānau are one of five whānau selected as part of the pilot. For Allanah and her tamariki this has been life changing. The Health and Safety of our people remains a key area of focus for Te Rūnanga and all of our businesses. Our goal is Kia hoki ora atu tātou katoa ki te kāika – everyone home safe every day. We are pleased to report that in FY2017 we have regained our tertiary status on the Accident Compensation Corporation (ACC) Workplace Safety Management Practices Scheme. The following are some examples of work being done across the organisation to ensure we achieve our goal. There’s been lots of positive activity out on the farms with standard operating procedures and a seasonal schedule of Site Safe Toolbox Talks now in place on all farms. Ngāi Tahu Farming has been instrumental in forming the Commercial Farming Health and Safety Forum, an industry group set up to share thinking and information, and host these hui. On a practical level grain silo ladders are now locked to reduce the risk of people climbing and falling and light utility vehicle training is being undertaken across all farm workers with a video produced for future use. The Office has identified the top 10 health and safety risks it needs to focus its attention on and has highlighted necessary improvement areas. 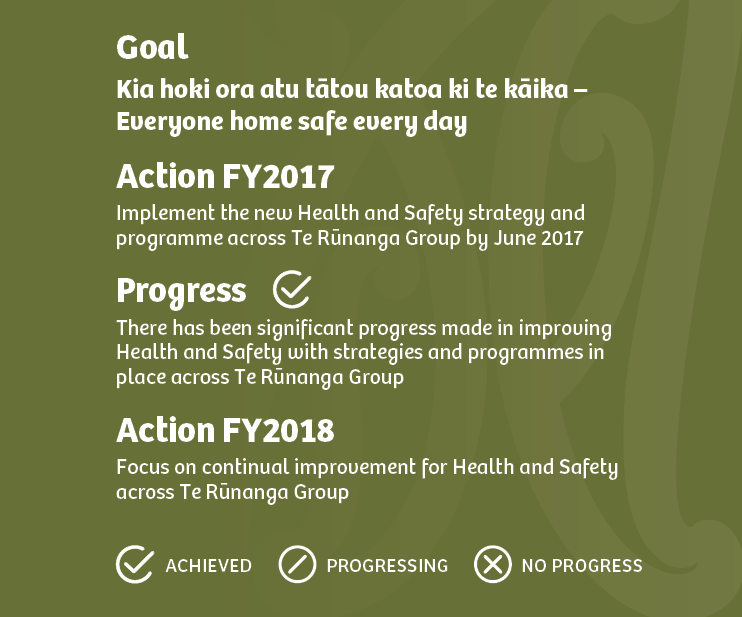 From this mahi “He Wharerau Ora” has been developed as a guiding philosophy and foundation for our key governance and management tools including: the Health and Safety Charter of Te Rūnanga, the Health and Safety Policy and the strategic plan. Earlier in the year we launched the Wellness Wero – a week long initiative designed to bring wellbeing to the fore and inject some fun and enthusiasm whilst reinforcing healthy habits. The intention was to educate, energise and motivate staff to make small steps towards daily practices to enhance their own wellbeing across the realms of: tinana, hinengaro, whānau and wairua, reflecting our “He Wharerau Ora” Health and Safety philosophy. 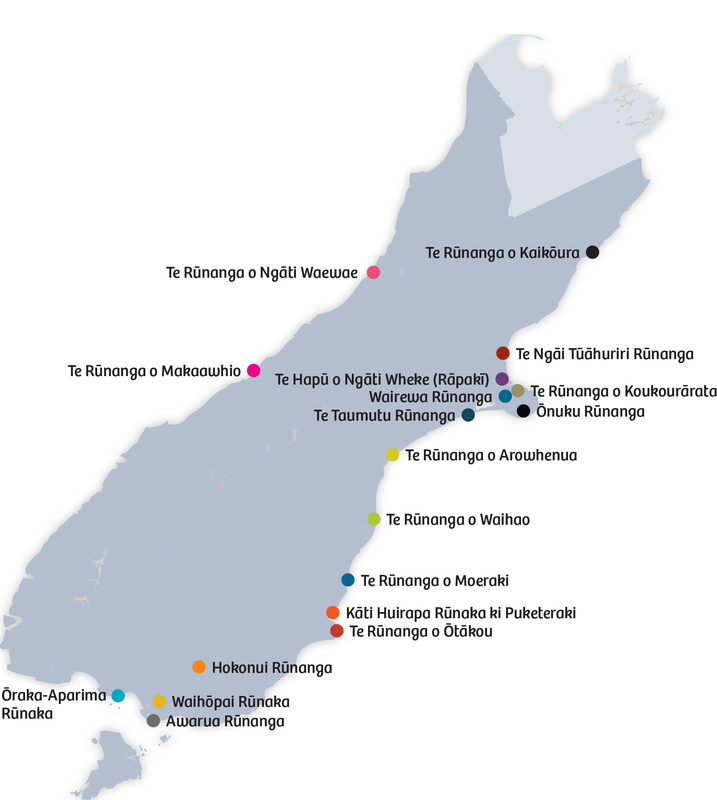 72 kaimaihi participated across Te Rūnanga Group. Dart River Adventures operates in the pristine Dart River Valley and the World Heritage area of Mount Aspiring National Park, offering jet boating, Funyaking (inflatable canoes) and horse riding. The tasks our team undertake are often physical in nature and involve our jet boat drivers and Funyak guides lifting and manoeuvring the uninflated 35kg canoes from storage to a boat and then to the beach. There have been a number of sprains and strains amongst the team, so last summer (2016/17) we started developing solutions to make this process easier and safer. We now have a custom-built Funyak trailer to make the transfer of the canoes easier; a roller system to reduce lifting and twisting when transferring Funyaks from the trailer to a boat; and ongoing training on manual handling for kaimahi. Aunty Jane Davis with her son Rewi and her mokopuna Bobbylee Marsden and Rubyjane Davis-Casey. 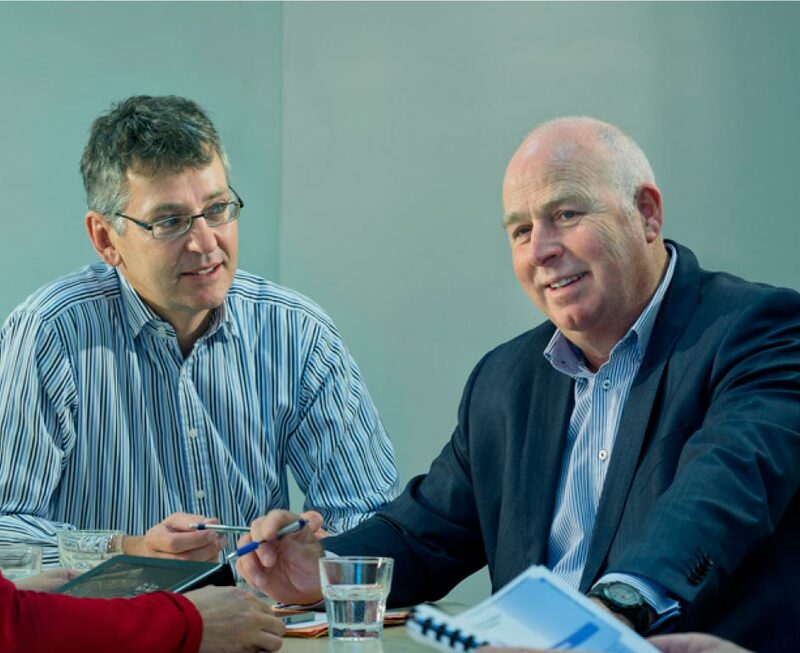 To be successful as a family-owned business, to achieve the intergenerational aspirations of the iwi and ensure our collective wellbeing, we need input and contributions from as many iwi members as possible. We also need to nurture and maintain relationships with a wide range of other stakeholders to support us as we move forward. We have the challenge of having a huge and diverse tribal takiwā and over 60% of our whānau are now living outside of this region. 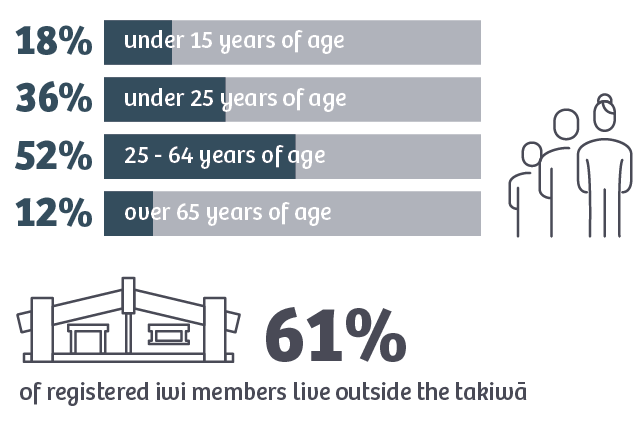 A large proportion of our iwi members are under the age of 24, so it is also important that we complement traditional methods of engagement with innovative ways to connect our people so they are better able to participate in iwi activities. 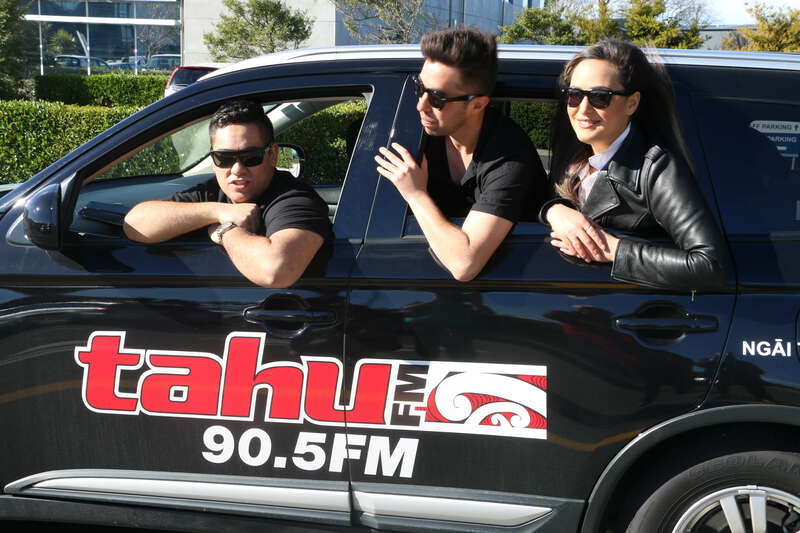 Tahu FM continues to engage and entertain Ngāi Tahu whānau, with our latest survey results showing more than 170,000 people listened to the station at some time during the past 12 months. Tahu FM’s total adult audience (18 years of age or over) increased by 20% and it is estimated that on average Tahu FM had around 51,200 individual listeners per week – of these 71% were likely to be regular weekly listeners. The station’s primary purpose is to be a vehicle for the promotion and revitalisation of te reo Māori and broadcasts 10 hours of te reo every day. Radio remains the most popular way to listen, but whānau can also tune in via Sky Digital, online and through the Tahu FM app for mobile devices. The station has also added live streaming capability and has had great success broadcasting the regional kapa haka competition and Hui-ā-Iwi to audiences nationally and globally. The statistics were gathered in a Horizon Survey conducted between 16 and 31 May 2017. The Ngāi Tahu Road Shows have been a resounding success. We are delighted to report that more than 2000 whānau members attended 11 road shows held in the North Island and Australia. In Brisbane we had 300 whānau members turn out, Dannevirke saw 207 attend and strong numbers in Auckland and Wellington with 244 and 180 respectively. The new expo style has proved popular with whānau who enjoy the opportunity to engage kanohi ki te kanohi with our kaimahi. More than 630 whānau members. 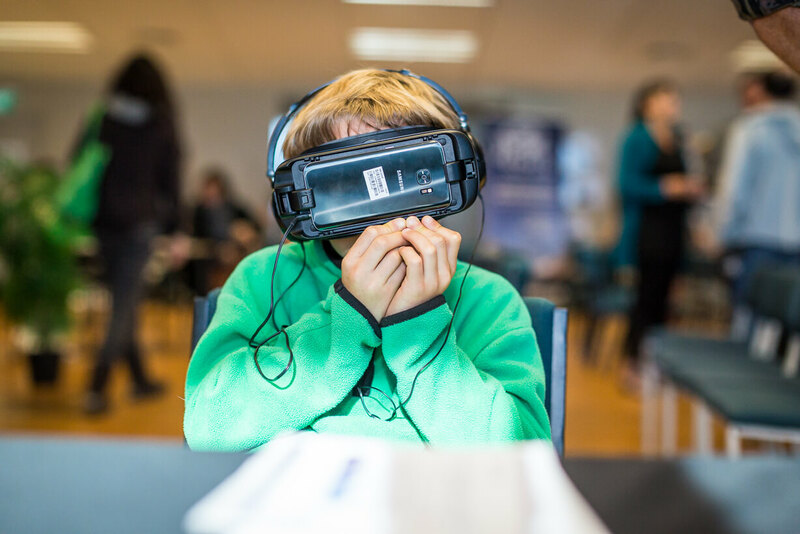 Tamariki trying out virtual reality technology at the Ngāi Tahu Road Shows. The health of Te Ao Tūroa and its many dimensions are an ongoing concern for Ngāi Tahu, given its intrinsic links to our whakapapa and identity. The state of our waterways, the sustainability of our fisheries and climate change are current areas of focus for this report. Te Rūnanga staff have been working collaboratively with Te Rūnanga o Moeraki, the Department of Conservation, and the Penguin Rescue Trust at Kātiki Historic Reserve on the Moeraki Peninsula. Otherwise known as Te Raka a Hineatea Pā, Kātiki Point is a place of particular historical and cultural significance to Te Rūnanga o Moeraki, who have occupied the area for over 800 years. Traditions suggest that the site was established during the time of Taoka and Te Wera, thought to be in the mid-17th century with evidence, through middens and artefacts, of a lengthy occupation. 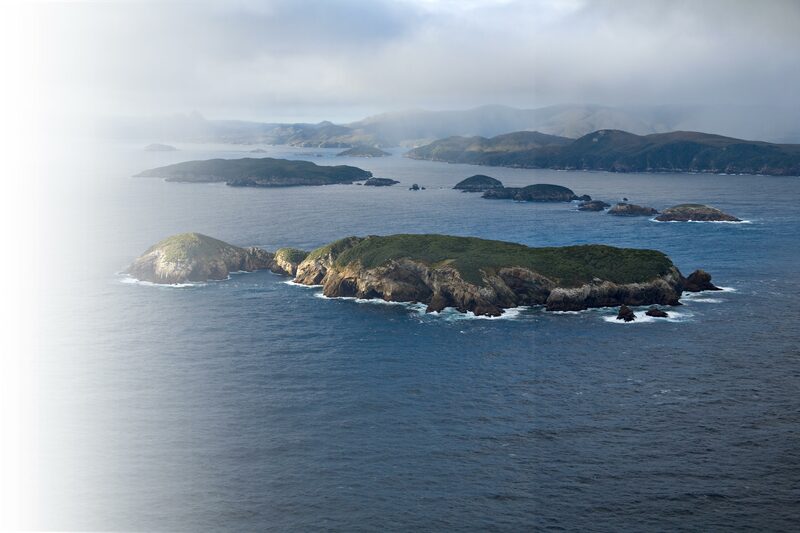 A part-time ranger has been funded and Kāi Tahu Ki Otago has been contracted to prepare a Reserves Act 1977 Management Plan for the area which is home to the yellow-eyed penguin (hoiho) and fur seals (kekeno) among other marine wildlife. Protecting our whenua and our taonga species is fundamental to our existence. Essential to this is ensuring that the relationships we have with our statutory partners give genuine effect to delivering the outcomes we desire. Over the past 12 months we have been working with the Department of Conservation (DoC) to refresh the protocols as defined in the Ngāi Tahu Claim Settlement Act. Te Ara Hononga is an opportunity to reflect on the health of our relationship with DoC over the years since settlement and to examine how well the existing protocols are performing. Focus is being placed on the drivers for behaviour change and developing protocols that will deliver results on the ground. Key to this is providing the opportunity for Ngāi Tahu whānau to clarify their priorities and aspirations for taonga species and other kaitiaki matters to make sure their expectations are being met moving forward. Te Rūnanga o Ngāi Tahu, Ngāi Tahu Holdings and its subsidiary companies are committed to measuring the carbon emissions of the activities of Te Rūnanga Group. Our three main sources of emissions needing to be addressed are: farming activities, air freighting seafood to China and our jet boats. We have measured the carbon emissions for the 2016 calendar year, forming the base year for our future reporting. EnviroMark Solutions, a subsidiary of Landcare Research, has verified that the carbon emissions for Te Rūnanga Group for 2016 were 56,035 tonnes CO2-e. This excludes Papatipu Rūnanga and our joint ventures such as GoBus and Hilton Haulage. 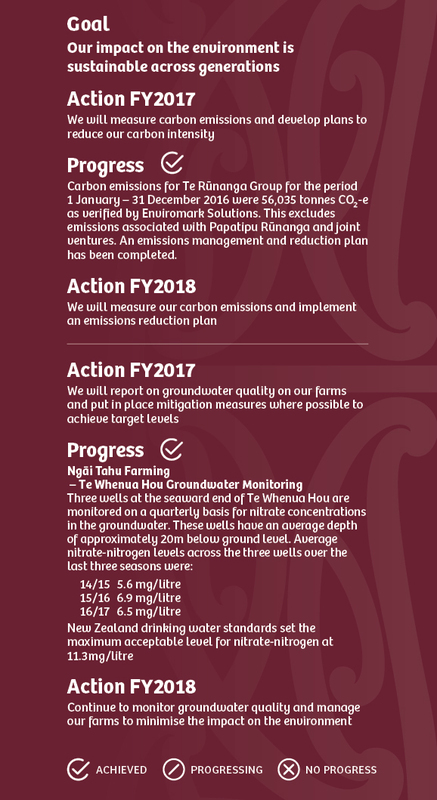 Te Rūnanga Group is committed to becoming more carbon efficient and has developed an emissions management and reduction plan to focus our efforts in this space. Climate change will impact all aspects of Ngāi Tahu interests and activities, with very different effects expected in different places across the takiwā. Some locations and resources – including important mahinga kai species, coastal sites, and taonga on which the tribal economic base depends – are already being affected. to be as well informed as possible about the trends and projections, and to identify practical alternatives. The way forward includes new technologies, new land uses, new business developments, and measures to support Papatipu Rūnanga and Ngāi Tahu whānau to make the changes that will be needed to adapt effectively and support wellbeing and tribal values. The kaupapa is: Invest in the best, while preparing for the worst. Ngāi Tahu Farming in partnership with Lincoln University’s Department of Ecology has put in place a 30-year goal to plant 1.5 million native plants and trees at Te Whenua Hou as part of its bio-diversity plan. In addition, native species are being incorporated into shelter belts, in paddock plantings and plantings around farm buildings and houses on each farm. A study on soil structure and how that may affect the retention of water is underway, along with trials on nitrogen-fixing plants such as kōwhai and native broom; and studies on weta populations and unique Eyrewell earthworms. The project is about re-establishing native plantings because they provide good stock shelter and provide a buffer against harsh weather conditions – the heat, the wind and the dust. Flowering cherries and oaks have been planted alongside farm driveways and around 10,000 tōtara trees are being planted around the edges of the farms. Our Kaitoko Mātauranga work directly with Papatipu Rūnanga to support their whānau education goals. Currently we have Kaitoko established in over 80% of our Papatipu Rūnanga and we are on track to establish them in the remaining rūnanga in 2017-2018. We have started the development of a Ngāi Tahu cultural standards programme in association with rūnanga to assist them to set clear expectations about cultural knowledge for our whānau across the education sector. 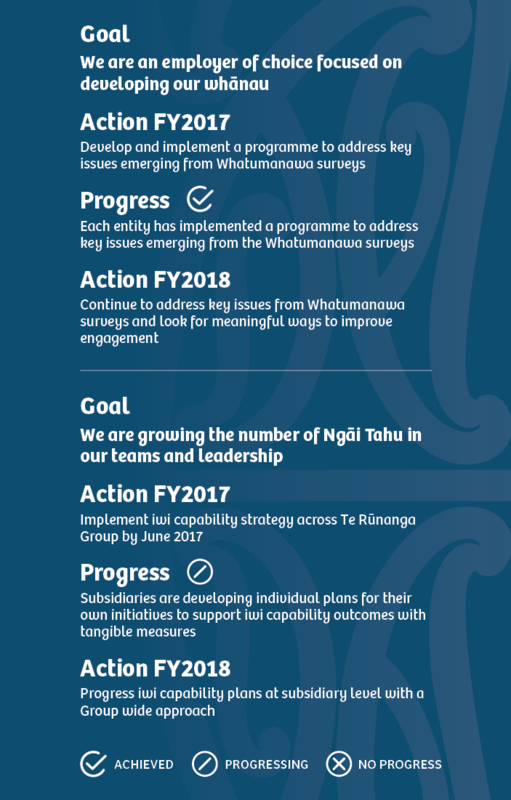 Our whānau engagement strategy, launched in 2016, has been extended to include resources to support educational and hauora development that have been specifically designed for Ngāi Tahu whānau members. In 2016 Te Rūnanga purchased a specialised archives management system called MINISIS, which includes a central registration system and individual databases for our library, archive, and artwork/taonga collections. MINISIS includes over 14,000 of our archival records, including photographs, biographies and Waitangi Tribunal evidence, with more archives being added daily. We are focused on creating better standardised descriptions for each record. We are creating online access so Ngāi Tahu whānau can access the Ngāi Tahu Archive. The distribution of Pēpi Packs continues to gain momentum. Since the programme’s inception, 415 packs have been distributed within New Zealand and 42 internationally. The project, which came about as a response to the high Sudden Unexpected Death in Infancy (SUDI) statistics for Māori, has engaged teams from across the Office to work together to produce the packs. A great example of this is the Whakapapa Unit working with Mātauranga to create whakapapa charts for the packs. Whakapapa scrolls are now produced as soon as new pēpi are enrolled to speed up the process. The packs are delivered in a woven flax wahakura (bassinet) and contain, clothing, te reo Māori books, a piece of pounamu, Whai Rawa enrolment information and the whakapapa scroll. Ngāi Tahu pēpi Sebastian Lardelli with his wahakura. 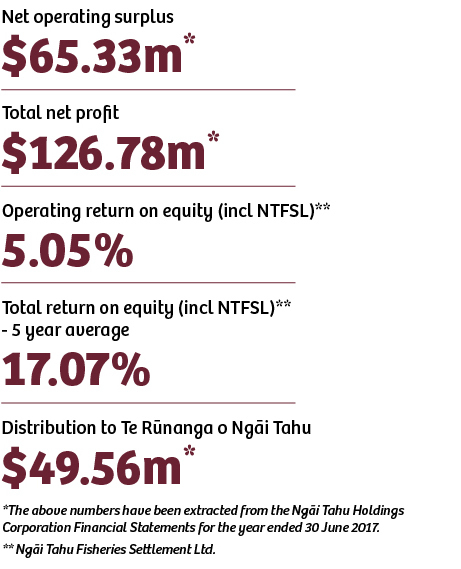 Ngāi Tahu Holdings is pleased to report another strong year with a total net profit of $127m despite the deficit operating result recorded for Ngāi Tahu Capital relating to the worst mānuka honey season on record for the Watson & Son joint venture. 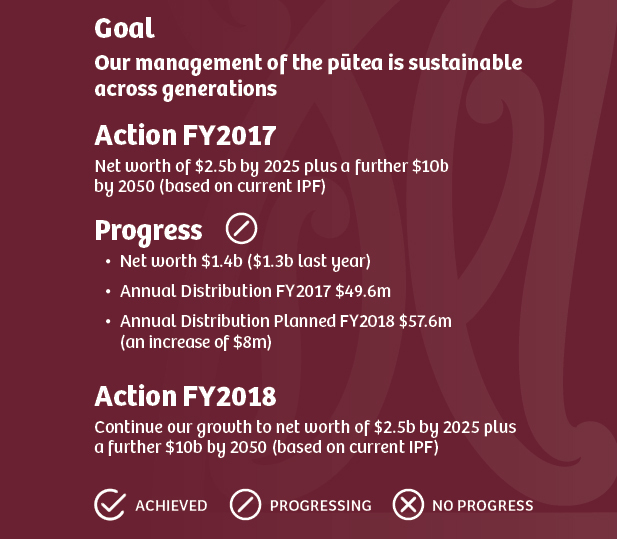 This return enabled a distribution of almost $50m and the value of the pūtea with Te Rūnanga Group net worth increasing to $1.36b. Long-term net worth targets remain on track. 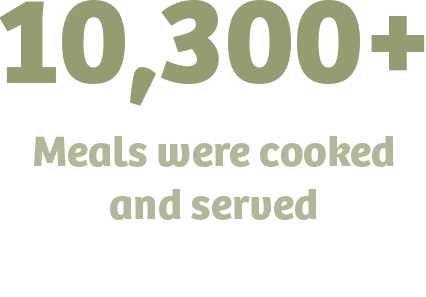 Each year Te Rūnanga distributes a percentage of our net worth to support our wellbeing and development. Te Pūtea Whakamahi grants paid to each Papatipu Rūnanga. In total $8.2m (FY16 $400,000). Manawa Hou rangatahi (left to right) Angus Gieseg, Takoha o Te Rangi Pitiroi, Liam Damcombe, Sampson Karst, Serenity Tangaroa and kaiwhatu Linda Rangipunga. Integration of values into an organisation requires constant mindfulness, strong leadership and role modelling. How well we do this, speaks to our integrity and our authenticity. The commitment to values across the NTH Group has been reaffirmed with each subsidiary having plans in place to improve their performance against our values. The scope and focus of the plans varies depending on the different challenges facing each of our businesses. A central resource has been established with the appointment of a Chief Values Officer and dedicated resourcing to oversee the commitment of our subsidiaries to integrating values and supporting this kaupapa to become normalised throughout all of our business practices. Key areas of focus include enhanced relationships with Papatipu Rūnanga and whānau, greater collaboration across Te Rūnanga Group and developing pathways for increased employment opportunities for Ngāi Tahu whānau within our businesses. 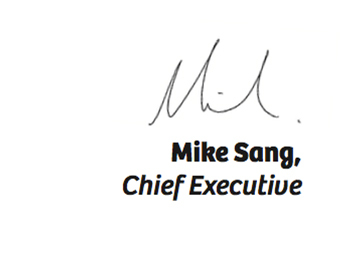 The leadership of the Chairs and CEs is integral to our success in this space. This leadership group has been meeting six-monthly to ensure we are progressing our commitment to values across Te Rūnanga Group. He Tātai Aroraki is a values-based code of conduct for kaimahi that reflects the order of the stars as a navigation tool to guide us. Much like the stars guiding our tīpuna to voyage across the Pacific, the positive elements and principles outlined in the document act as a navigational guide to help us follow the correct paths in our journey of mahi with Te Rūnanga o Ngāi Tahu. 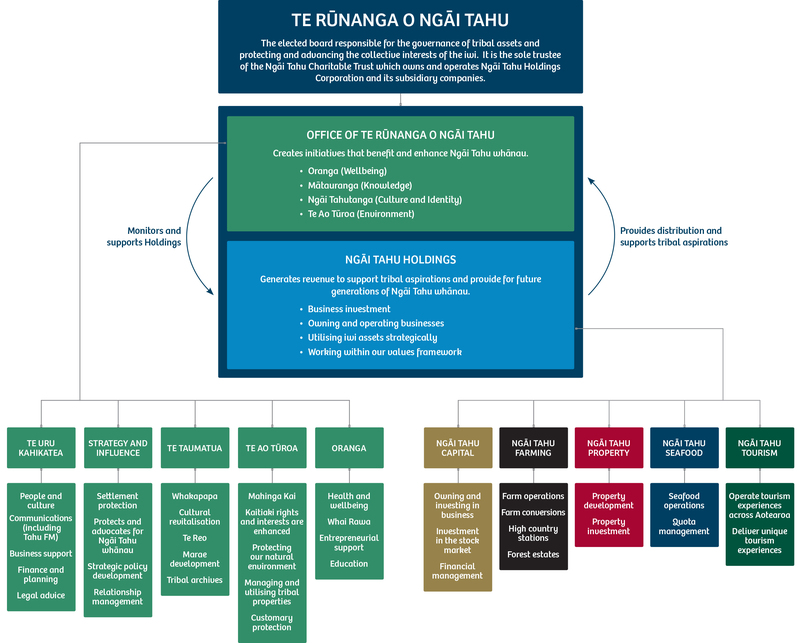 The purpose of the code is to provide clear guidance to all kaimahi, including management, on acceptable behaviour within their work on behalf of Te Rūnanga o Ngāi Tahu. Regardless of our individual position and responsibilities, whether it be out in the community or supporting behind the scenes, we are all helping to paddle the same waka and enable outcomes for whānau. We must act as role models in the way we perform our tasks, fulfil our duties and responsibilities, and the way we relate to each other and the communities we serve. Ngāi Tahu culture and traditions help to define who we are and where we have come from as a people. Our whakapapa, language, tikanga (customs), our ways of life and our relationship with the land and sea are the building blocks of our identity as Ngāi Tahu. The protection and enhancement of this collective culture and heritage is a core priority for the future of our iwi. Ngāi Tahutanga guides our organisational decisions and underpins everything Te Rūnanga sets out to achieve. Upholding our customs and doing things the Ngāi Tahu way, in line with our values, is a unique enabler to us as an organisation; it is something that sets us apart from others. All of our governors and kaimahi need to rise to this responsibility to ensure that our cultural identity and expression shines. 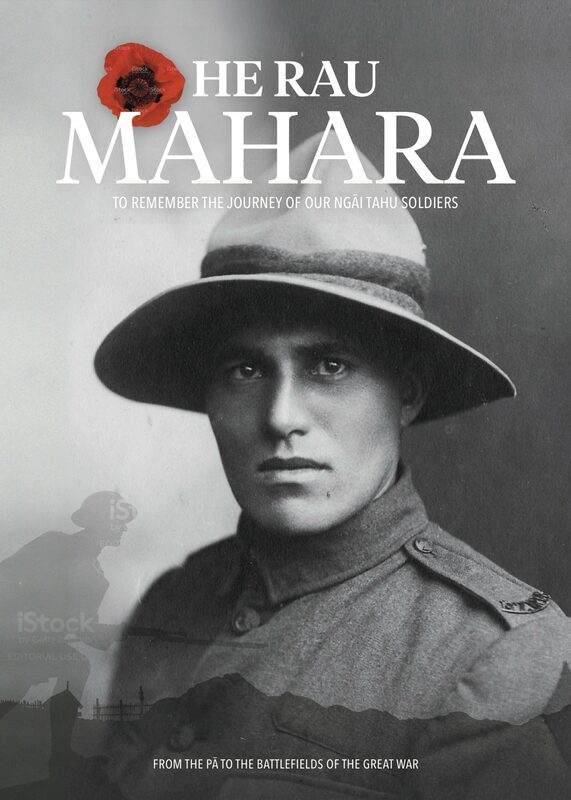 Honouring and celebrating our Ngāi Tahu soldiers who fought in WW1, many of whom never returned home, He Rau Mahara is a project being undertaken by the Whakapapa Unit that tells the story of Ngāi Tahu soldiers who served in the Great War of 1914-1918. Over the last year, the Whakapapa Unit has been working with the whānau of Ngāi Tahu soldiers, conducting interviews and poring over diaries, letters and military records to uncover stories that have never been shared. Ultimately all of this information will be published online and in a book showcasing a selection of the stories. 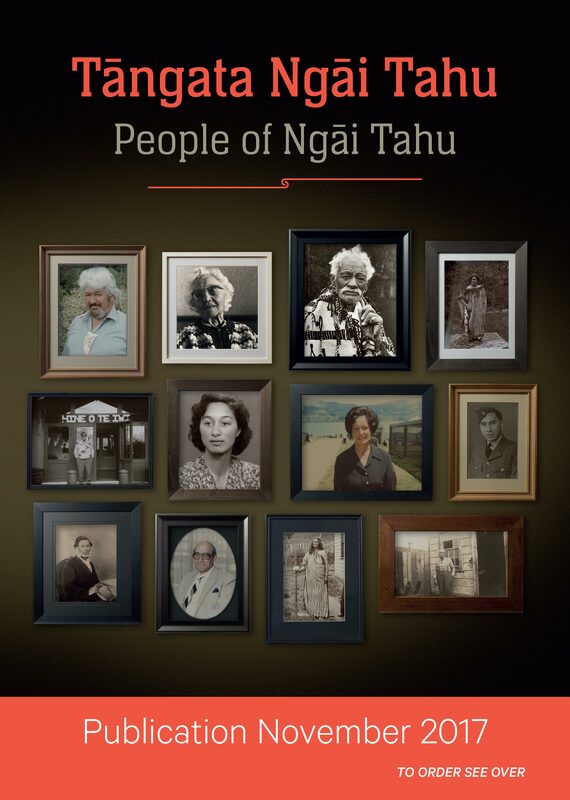 Produced by Ngāi Tahu Archives, Tāngata Ngāi Tahu: People of Ngāi Tahu is a book remembering and celebrating the rich and diverse lives of a range of Ngāi Tahu all united by whakapapa. All have contributed to their whānau, hapū and iwi in a myriad of ways – rangatira, tohunga, community leaders, those active in the Ngāi Tahu Claim, activists, scholars, fishermen, farmers, sportspeople, artists, weavers among them. To be released November 2017. Rangatahi Tumeke (left to right) Jeru Moeke Stone, Alex Quinn, Reese Harrison, Anahera Herbert and Okeidis Poihipi. Taiawatea was established earlier this year by the Ngāi Tahu Funds Committee. It is a fund run by Ngāi Tahu Funds staff and aims to promote and grow vibrant cultural leaders amongst our registered rangatahi aged 13-25. Rangatahi can apply to Taiawatea to start cultural projects aimed at strengthening their Ngāi Tahutanga, or to support their attendance at regional and national cultural events. A pilot run in 2016 supported three rangatahi to represent the iwi at the national Ngā Manu Kōrero competition. Since its inception, a total of $6,870 has been distributed to nine rangatahi, and this has helped to support mahinga kai, whenua and te reo projects. The inspiration for the name came from Ngāi Tahu Funds Committee board member, Piri Sciascia. “0ur rakatahi are the tide of the new day – Te Tai Awatea. For Ngāi Tahu, Taiawatea is the ever new dawning tide, as is the taiahiahi the ever nightfall tide, representing incoming and outgoing generations of our people”. Our tribal demographic and patterns of iwi engagement have changed significantly over the past two decades. Access to information about who we are, where we live and what our situations are has been limited and often disjointed. Not only has the shape and look of our iwi changed, so too has our ability to assess it in new ways by working collaboratively with key partners to establish a comprehensive view of our people. 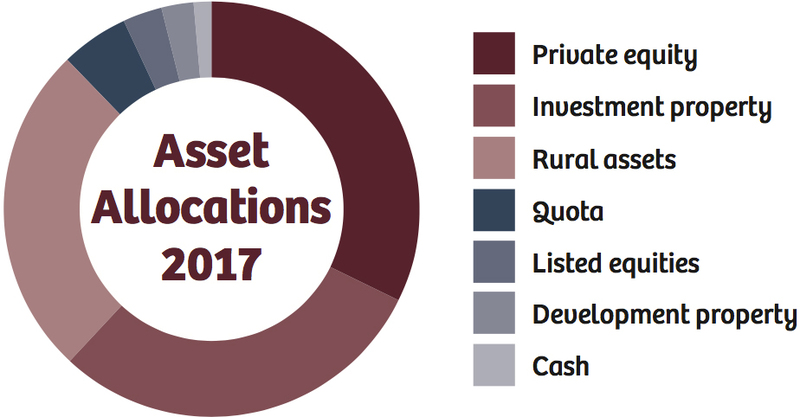 This information is an essential resource to ensure we are in a position to make informed decisions on investment and the direction of Ngāi Tahu in the future. The 2017 Ngāi Tahu State of the Nation report includes a regional focus while also piloting local rūnanga profiles. A whānau wide survey to be launched later in 2017 will provide us with further detailed insights into the demographics and needs of our iwi and inform the future direction of our mahi. Pita Te Hori is the name given by Ngāi Tūāhuriri to the new Ngāi Tahu Property development built on the former King Edward Barracks site in Ōtautahi. Stage one has been completed with two sustainably designed five-level office buildings, a state-of-the-art car park, and a central landscaped courtyard and gardens. A future focused approach to energy efficiency at Pita Te Hori includes solar panels on the roof, energy efficient lighting and an energy scheme powered by drawing water from an aquifer 140m under the ground designed to heat the building in winter and cool in summer cutting energy use by around 50 percent. This ground-breaking system is powered by a massive heat battery and gas from landfill. The Pita Te Hori site has a rich spiritual, historical and cultural significance due to its proximity to Puari Pā, an important mahinga kai and kāinga nohoanga (seasonal campsite) on the banks of the Ōtākaro (Avon) River established by Waitaha over 700 years ago and occupied by Ngāti Māmoe and Ngāi Tahu right up until the Canterbury Land Purchase in 1848. This is one of the most exciting post-earthquake commercial developments in Ōtautahi and is the jewel in the crown for Ngāi Tahu and Ngāi Tūāhuriri as we re-establish our tribal influence and mana on the city. Other rebuild anchor projects include: Ōmeka, the recently opened Justice and Emergency Services Precinct, the Bus Exchange and the Te Papa Ōtākaro/Avon River Precinct (ARP). 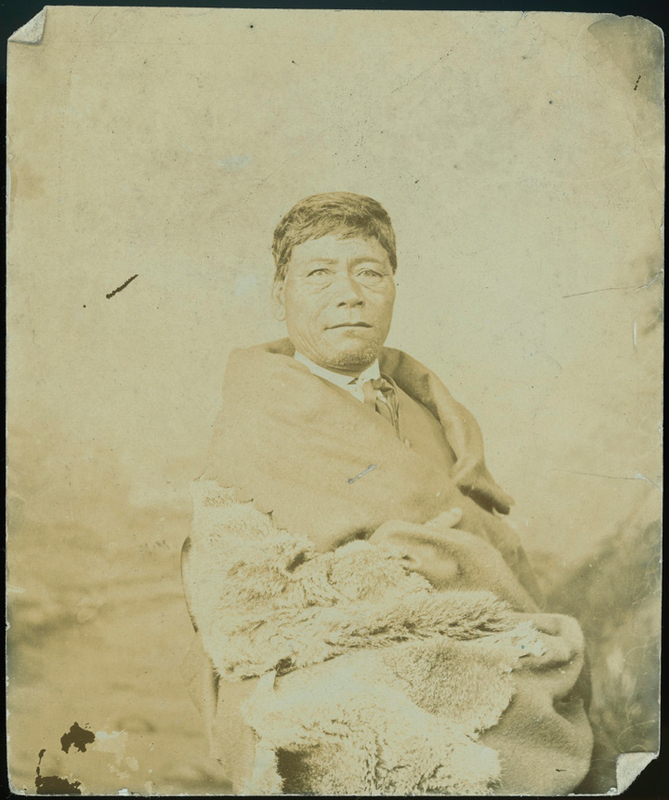 Photographer unknown: Portrait of Pita Te Hori. Ramsden, Eric: Photographs relating to Ramsden and his family and Māori subjects. Ref: PA2-2234. Alexander Turnbull Library, Wellington, New Zealand. http://natlib.govt.nz/records/22710482. from the manaakitanga they show their customers, to the kaitiakitanga that sees them actively working to preserve and sustain the landscapes in which they work. As part of a wider tourism industry kaupapa, NTT works closely with Tourism New Zealand and other tourism operators to ensure that New Zealand is delivering fantastic experiences to visitors from all over the world. 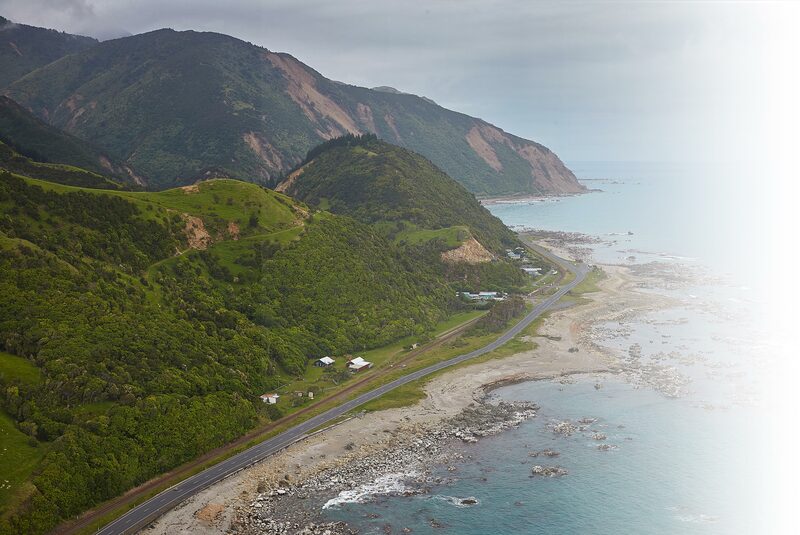 While Te Rūnanga o Ngāi Tahu was not named in the Hurunui/Kaikōura Earthquakes Recovery Act 2016 we were engaged early on in the rebuilding of the State Highway 1 (SH1) Coastal Route and the Kaikōura Harbour restoration works at a governance level. Given its cultural significance, Te Rūnanga and Papatipu Rūnanga made clear their deep concern for protection of the Kaikōura environment and coastal area. Mahaanui Kurataiao (MKT) is supporting Te Rūnanga and is the Cultural Advisor in the SH1 rebuild. MKT also oversees the mana whenua Cultural Monitors who are ensuring sites of significance, taonga and kōiwi are appropriately managed. Pivotal to improving on any future Te Rūnanga emergency response are strategic partnerships that enable Te Rūnanga and Papatipu Rūnanga to be included in Civil Defence Emergency planning earlier i.e. Papatipu Rūnanga with their Local Authorities, Regional Authorities, Ministry of Civil Defence and Emergency Management and Crown Ministers. The Marine and Coastal Area (Takutai Moana) Act 2011 set up processes for Māori to apply for recognition of customary rights and interests in coastal areas. In April 2017 Te Rūnanga made an application to the Crown on behalf of Ngāi Tahu whānau, to ensure their rights are protected. This work is ongoing and we are working with Papatipu Rūnanga and other groups to secure a network of coastal areas around the takiwā where our customary rights are formally recognised and local Papatipu Rūnanga and whānau are involved in planning and management decisions in these areas. Leadership plays a critical role in the success of any organisation. As a values-based organisation, it is important that our leaders are role models who consistently demonstrate values in action. Rangatira at its core means that one has the ability and influence to mobilise people and inspire them through vision. We want our leaders to be world-class and we need to support their continued development. Ngāi Tahu Tourism (NTT) has created a programme to support the growth of kaimahi. The programme includes a range of courses including: Performance Edge – to maximise performance, Rangatiratanga – to learn the fundamentals of being a leader and managing people; and Haumaru – to learn about creating and maintaining a safety culture. NTT has an annual awards programme to celebrate kaimahi who inspire their colleagues and achieve highly throughout the year across haumaru (health and safety), rangatiratanga (leadership) and manaakitanga (customer service). We seek to enhance the mana of others in the work we do and in how we act and behave. Building the confidence of our whānau, motivating and supporting their respective journeys and giving them a hand-up to maximise their strengths and skills to realise their own dreams is, for us, an indicator of our success. There has been much activity in the Mātauranga space as we continue to respond to Government-led interventions focused on supporting a culture change within schools through building the capability of kaimahi to work in new ways with our tamariki and mokopuna. Our Mātauranga team is developing and strengthening those responses in education that are driven from the needs and aspirations of our whānau, hapū and rūnanga. Twenty years on, we are stronger and more committed to developing our understanding of our Ngāi Tahutanga and what that means for our iwi in 2018. 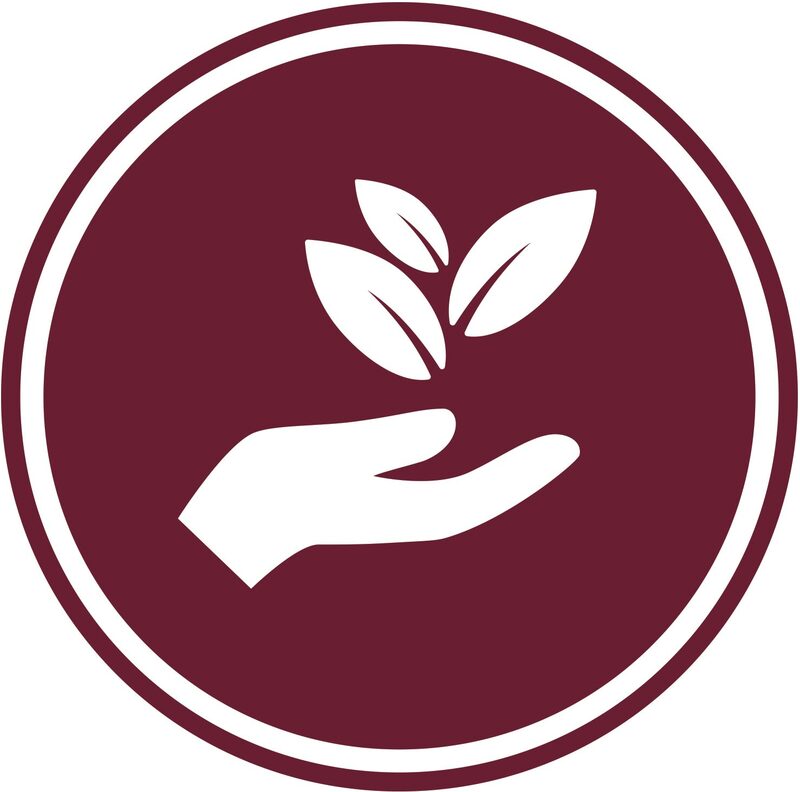 We have reviewed our approach to our education grant distributions and committed to enhancing these support mechanisms by developing engagement, connection, and importantly, notions of reciprocity. This new approach will be integrated across our programmes so we can continue to build the culture of our people as Ngāi Tahu from a strong cultural base. Giving back is at the heart of Ngāi Tahu Property’s Te Haumi Whakamana initiative which offers long-term investment opportunities for Papatipu Rūnanga in its Crown Portfolio. 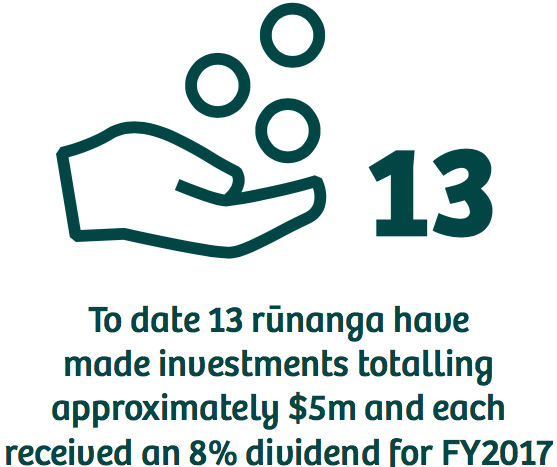 Each rūnanga is able to invest up to $500,000. Registered iwi members (as at October 2017). Ngāi Tahu represent 1% of the total New Zealand population and 8% of the total Māori population.